The dietary supplement market is a multi-billion-dollar industry selling supplements from vitamin A to zinc. Do so-called “brain vitamins” help us maintain our mental acuity throughout the aging process? The vitamin frenzy in recent decades led legions of people to look to supplements as a way to improve or maintain mental acuity. But do so-called brain vitamins make a difference? The statistics on vitamin and other dietary supplement use in the United States are staggering, and the numbers appear to be on the rise. A 2016 CRN Consumer Survey showed the percentage of Americans taking dietary supplements—everything from multi-vitamins to “brain vitamins” to calcium pills to weight-loss supplements—to be at 68 percent, noting that the percentage has remained consistent over the past five years. Sales of all of those supplements totaled $36.7 billion, according to the National Institutes of Health. 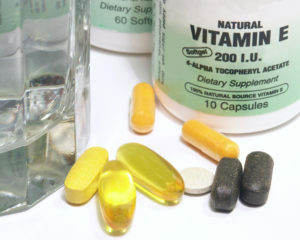 Part of the allure that vitamin supplements have today stems from the era in which nutritional deficiencies such as scurvy (vitamin C deficiency), rickets (vitamin D deficiency), or pellagra (vitamin B3 deficiency) were more common, prompting campaigns to ensure adequate vitamin intake in the general population. Beginning in the 1970s, two-time Nobel Laureate Linus Pauling put vitamin C supplements in the spotlight with his claims that it could accomplish feats ranging from curing the common cold to preventing cancer. Multiple clinical trials designed to evaluate those claims have since found no credible evidence supporting them, but the vitamin market got a tremendous boost that has persisted nonetheless. Likewise, there are many other evidence-based recommendations for certain vitamin supplementations, ranging from folic acid in pregnant women to prevent neural tube defects to calcium and vitamin D in women at risk of osteoporosis. But what about taking so-called brain vitamins to help maintain our mental acuity throughout the aging process? One of the most challenging tasks for consumers today is to sift discerningly through the reports of new medical studies in the media. When scientists and professional medical organizations make recommendations for vitamin supplementation, they look at the research available from clinical trials and, in particular, how those trials were designed. Unfortunately, many of the clinical trials on brain vitamins are observational studies in which no treatment (i.e., no specific vitamin supplementation) was given. Rather, patients were followed over a period of time and reported whether or not they took supplements to researchers. Scientists postulated that vitamin E, an antioxidant, might have a protective effect on the brain because it neutralizes free radicals. Free radicals are molecules that can damage healthy cells and have been implicated in some of the brain damage seen in Alzheimer’s disease (AD). Efforts to prove this theory, however, have yielded mixed results. 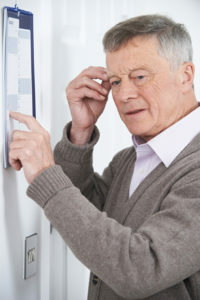 An observational study published in Archives of Neurology in 2002 demonstrated a 36 percent reduction in the rate of cognitive decline among those participants (none of whom had dementia or cognitive impairment prior to the start of the study) who reported taking vitamin E supplements compared with those who did not take vitamin E. They found no effect on the rate of decline in those people who took vitamin C and beta-carotene (a precursor to vitamin A and also an antioxidant) supplements. However, a randomized controlled trial published in 2006 in which healthy older women either took 600 IU of vitamin E or a placebo every other day found no association between vitamin E and cognitive function. Similarly, a study of adults with mild cognitive impairment who were randomly assigned to take vitamin E, a cholinesterase inhibitor (a common AD medication), or a placebo found no difference in the rate of dementia progression between those who took vitamin E and those who took placebo. Perhaps the most compelling evidence to date comes from a double-blind, placebo-controlled, randomized trial of more than 600 people with mild to moderate Alzheimer’s disease. This study, published in the Journal of the American Medical Association (JAMA) in 2014, showed a significantly slower rate of functional decline in those individuals with AD who took a high daily dose (2,000 International Units/IU) of vitamin E compared to those who didn’t. So, should we all take vitamin E to lower our risk of mental slowing? Not necessarily. High doses of vitamin E have been shown to increase the risk of prostate cancer in men and have been linked with a small but statistically significant increase in overall death rate. Vitamin E can also interfere with blood clotting which can be an issue for the elderly, particularly in those individuals taking blood thinners such as heparin or warfarin. Currently, the United States Prevention Services Task Force (USPSTF) has no recommendations for vitamin E supplementation and prevention of cognitive decline, and the National Academy of Science’s Institute of Medicine (IOM) states that to date there is insufficient evidence to recommend vitamin E supplements for cognitive performance. The IOM recommends a daily dietary allowance of 22.4 IU in adults for adequate nutrition with a “tolerated upper intake level” of 1,500 IU. Vitamin D deficiency has long been linked with neuromuscular function. Deficiencies in vitamin D, a relatively common issue among the elderly, can increase a person’s risk of balance problems and falling. A 2004 meta-analysis (statistical analysis of the results from multiple studies/trials) of vitamin D supplementation in older adults, the majority of whom were women, found a 22 percent decreased risk of falling among those taking supplements. A 2011 meta-analysis of studies of vitamin D supplementation in adults 60 years and older found significant improvement in both balance and muscle strength among those who took 800 to 1,000 IU daily. Vitamin D has also been linked with cognitive performance. A meta-analysis of studies evaluating the relationship between vitamin D, cognition, and dementia published in the journal Neurology in 2012 found vitamin D deficiency was significantly associated with cognitive decline and an increased risk of AD. Further studies, however, are needed to assess the relationship between vitamin D supplementation and improvement in cognitive performance or prevention of cognitive decline. There are currently no formal recommendations for vitamin D supplementation with regards to cognitive performance. The United States Preventive Services Task Force’s only vitamin D supplementation recommendation (800 IU) is for prevention of falls in community-dwelling adults 65 years and older while the IOM recommends a daily intake of 800 IU (with a tolerable upper limit of 4,000 IU) to maintain bone health. The B vitamins have held promise as potential brain vitamins for quite some time, in part because of problems known to result from deficiencies in each vitamin. Vitamin B6 deficiency has been associated with confusion and abnormalities on electroencephalograms (test of electrical activity in the brain). Deficiencies of both B6 and folate have been associated with depression. Low levels of vitamin B12 and folate have been linked with cognitive decline and elevated blood levels of homocysteine, a molecule that has been associated with dementia and AD. Some studies have provided preliminary support for a relationship between these vitamins and cognition. The Boston Normative Aging Study found an association between high blood levels of vitamin B6 and higher memory test scores in men between the ages of 54 and 81, and the Veterans Affairs Normative Aging Study found that low levels of vitamin B6, folate, and B12 were predictive of cognitive decline. The Women’s Antioxidant and Folic Acid Cardiovascular Study found that in women whose baseline dietary intake of B vitamins was inadequate, supplementation slowed the rate of cognitive decline; however, supplementation had no effect on cognition in women with adequate baseline dietary intake. Other studies have found that supplementation with B vitamins does help reduce homocysteine levels, but does not affect cognitive function. Most important, meta-analyses of randomized controlled studies evaluating all three vitamins have found insufficient evidence to support their use, either alone or in combination, to improve cognitive function. 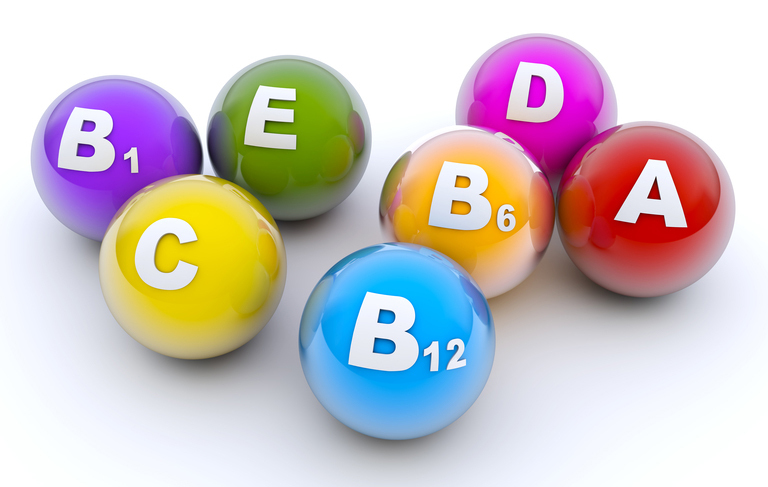 The IOM has issued recommended daily allowances for the B vitamins to maintain nutritional health (B6: 1.7 milligrams [mg] in men, 1.5 mg in women; B12: 2.4 micrograms [mcg]; folate: 400 mcg). But most experts agree that further research is needed before B vitamins can be thought of as brain vitamins and before any formal recommendations can be made regarding supplementation for improvement of cognitive performance. acetylcholine, aging, alzheimer, antioxidant, b vitamins, b12, balanced diet, best brain supplements, beta carotene, blood thinners, bone, bone health, brain, brain damage, brain supplements, brain vitamins, calcium, cancer, cardiovascular, cognitive decline, cognitive function, cognitive impairment, cognitive performance, common cold, dementia, depression, diet, dietary supplements, exercise, folate, free radicals, health, health news, healthy balanced diet, homocysteine, homocysteine levels, how to improve memory, improve cognitive function, improve memory, institute of medicine, low levels of vitamin b12, memory, memory test, mild cognitive, mild cognitive impairment, muscle, nutrition, nutritional deficiencies, osteoporosis, Prostate, prostate cancer, prostate cancer in men, rickets, risk of prostate cancer, strength, supplement, supplements, the aging process, to improve memory, university health news, vitamin, vitamin a, vitamin b12, vitamin b3, vitamin b6, vitamin c, vitamin d, vitamin d deficiency, vitamin e, vitamin supplements, vitamins. I thought you might be interested in this article on https://universityhealthnews.com: Brain Vitamins: Do They Work?